This Silver Table Skirt Brings Both Class and Charm to Any Environment! 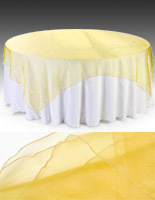 Search the Vast Collection of Tablecloths and Throws to Find the Options You Need! 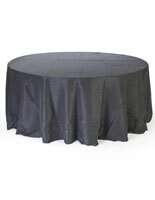 This Economical Table Skirt is the Perfect Accent for a Banquet Display! Sheer silver organza overlay adds a delicate touch to table settings! 85" x 85" square overlay fits tables of varying shapes and sizes! 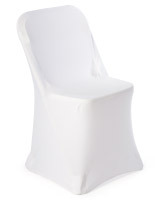 Edges are hemmed to offer a clean presentation! 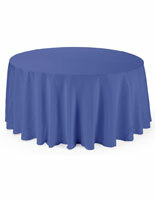 This decorative cover, table skirt measures 85" x 85" to fit a variety of table sizes. 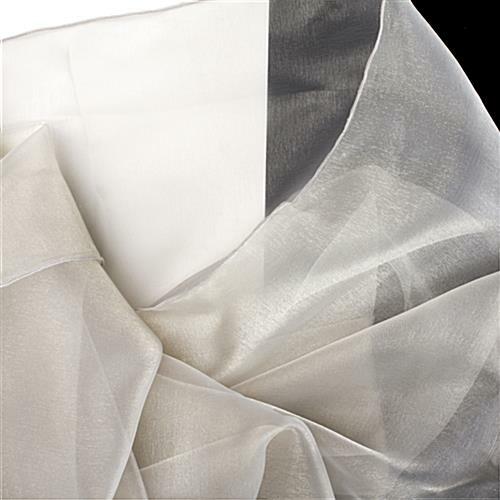 The organza is not meant to fall to the floor, simply to be a decorative "overlay" above a traditional tablecloth. The table skirt can also be used as a chair sash or oversized bow. This versatile design features quality craftsmanship from one seamless piece of sheer fabric with hemmed edges for a neat presentation. 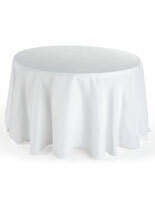 Quantity pricing of this table skirt encourages bulk purchasing by caterers, event coordinators, or rental supply personnel. 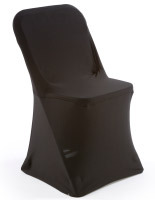 This model is also available in burgundy, gold, ivory, and navy blue colors. 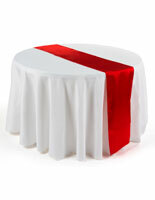 This table skirt will make your next event a memorable one! Adding a simple sheer overlay transforms any occasion from ordinary to refined and chic. 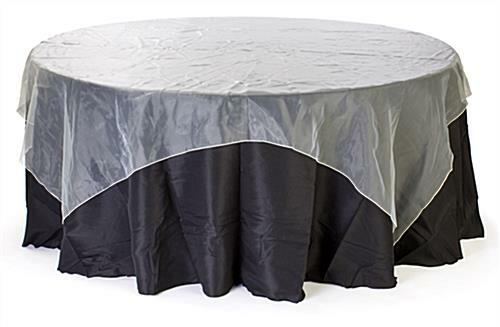 This table skirt is perfect for wedding receptions, banquets, corporate functions, fundraisers, bar/bat mitzvahs, and more. 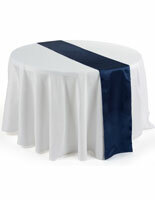 Traditionally it is placed over a solid tablecloth to add a splash of color and a more sophisticated appearance.